With the fall TV season approaching, I’ve been checking in on a few shows that I watch regularly for some status updates. 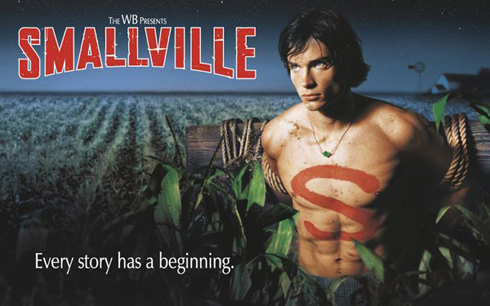 And there’s a heck of a lot happening around one of my personal favourites, Smallville. Cast changes are nothing new to the show. Pete Ross and both Kent parents have departed from the show, as have bit players like Lana’s high school boyfriend Whitney Fordman and the original town sheriff (whose name escapes me). But as the show enters its eighth (and likely final) season, there are massive changes on the horizon. Kara (aka Supergirl), Lex Luthor and Lana Lang will not be returning as regulars for the final season. Add in the fact that Lionel Luthor left the show during Season 7 and you have a seriously depleted cast. We are essentially left with Clark, Chloe, Lois and Jimmy Olsen as the only truly remaining core characters. I won’t miss Supergirl; I don’t feel she added much depth to the show, and the actress didn’t seem to be able to do much with the character. And Lana’s character ran her course, she was due to leave. But losing Lex… you can’t have Yin without Yang. His departure will ultimately affect the show even more than the departure of developers Alfred Gough and Miles Millar. Which brings up another point, they had always insisted on “no tights, no flights” for Clark Kent. This may change now that they are off the show, which could be good or bad. Season 8 will also feature some other interesting twists. Smallville featured a one-off “Justice League” created from a collection of super heroes introduced at various points in the show’s history; Green Arrow, The Flash, Aquaman and Cyborg. Apparently, this Justice League (likely consisting of Arrow, Aquaman and Martian Manhunter) will become more formal, especially now that Green Arrow is a regular on the series. As a comic fan, I can honestly say this intrigues me. I love the idea of a live-action Justice League show… but I don’t know if I like it at the expense of the Smallville series I have watched regularly over the past seven years. It will be interesting to see how this affects the series. Finally, there was another piece of news that I didn’t quite know how to react to; Doomsday is coming to Smallville. The very same Doomsday that killed Superman back in the early 1990s (in the comics). Ironically, Doomsday came about because the Lois & Clark series scuttled DC’s original plans to have the comic Superman and Lois get married. However, plans were changed when ABC wanted the on-screen version to get married first. So DC regrouped and ended up doing the Death of Superman storyline, which single-handedly reworked much of 1990s DC mythology (which I won’t go into here). Anyhow, this Doomsday character will apparently have an alter-ego who is an “easy-going paramedic”. This sounds a little like an evil version of the Incredible Hulk… which makes me cringe in anticipation of an on-screen Doomsday that might almost be as bad as the film version of Bane from Batman & Robin. There are plenty of changes coming; Smallville might be barely recognizable compared to even the most recent season. Will I like it? I have no idea. Will I be entertained? I sincerely hope so. But more importantly… will I watch? Oh hell yeah.